The ARUCAD Industrial Design programme fosters a critical, analytical and creative approach to designing products, services and experiences. With the use of our digital and fabrication facilities including the FabLab, these resources will empower our student designers with the knowledge, skills and creative confidence to resolve design problems with functional and sustainable product design solutions that are relevant to needs of people, society and business today. Combining industry-run projects with academic learning, we ensure that you have the skills necessary to make a significant contribution to your chosen field of professional design practice. He studied Classical Archaeology, Art History and History at the universities of Trier, Köln and Bologna from 1993/94 to 2005 when he completed his PhD thesis in Classical Archaeology in Trier. He contributed to an international exhibition about Constantine I., held in the Rheinisches Landesmuseum Trier in 2007. From 2006 onward he has been teaching architectural history and art history in North Cyprus, as an Associate Professor since 2012. He conducted a funded research project on architectural decoration in Cyprus and was a researcher in a Tübitak project on the vernacular architecture of Louroujina village. Since 2016 he has been conducting a survey project in the Karpass district, tracing remains of ancient and early medieval settlement and economy. His research covers also the modern architecture of Cyprus, especially of the colonial and early post-colonial periods. Upon graduating with a degree in Ceramic and Glass from Mimar Sinan Fine Arts University, she obtained her first Masters from Dokuz Eylul University in the same field. She completed her second Masters in Fine Art at Bretton Hall, University of Leeds (UK) and her PhD in Glass from Edinburgh College of Art, Heriot-Watt University (Scotland), on the subject of Turkish Glass Culture and Its Relationship with Contemporary Glass and Education. Apart from her long-standing career as an academic she has also taken part in various exhibitions and workshops in Turkey and abroad. Her works combine glass and ceramics, and she has a strong interest in traditional pottery making –ceramic cook stoves in particular, especially focusing on South Asia. Born in 1987; Ayşenur Ceren Asmaz is graduate of Anadolu University Faculty of Fine Arts Glass Department (2010) and she received M.A. from Institute of Fine Arts Glass Art of same university (2013). In 2013, she was appointed as Research Assistant at Uludağ University Ceramic and Glass Design Department. During 2014-2018, she worked at Dokuz Eylül University, Institute of Fine Arts Ceramics and Glass Design Department during her Ph.D and completed her Ph.D in 2018. 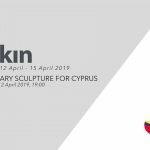 Besides various symposiums, biennials and exhibitions, artist has a solo exhibition named 'İnsanın kanadı; gayretidir' and three awards, one of which is in sculpture and the other two in ceramic field. Her works are featured in the collections of South Korean International Macsabal Museum and Applied Art Museum at the Stieglitz Academy. Antony has over two decades of teaching, management & leadership experience in Higher Education in the UK and internationally, he is Advisor and External Examiner at several universities for innovative Post Graduate programmes and as a practitioner he has worked in Architecture, Design and related Creative Industries. His consultancy and research focus on developing new ways of unlocking creativity and innovation in business and education inspired by the application of Design Thinking, FABLAB and LEGO® SERIOUS PLAY®. Antony has worked with Virtual and Augmented Reality systems since 1995 and headed up the Virtual Environment Design Research Unit at the University of Teesside in the UK. In Australia he worked with the Sydney Metro, the armed forces and automotive industries on virtual simulations. He recently establishment the first official FABLAB in Cyprus and now integrating its methods, practices and ethos into Arts and Design academic curricula and supporting and motivating creativity and innovation in the wider community and working with the global FabLab and Maker Movement on collaborative projects. Antony has significant experience in the application of digital technologies in the cultural and heritage sector, regularly participating in archaeological excavations around the world and presenting papers on this topic at a wide range of international conferences. Antony is a Principal Fellow of the Higher Education Academy UK and an Associate of the Quality Assurance Agency for Higher Education UK and is regularly engaged in establishing international collaborations and partnerships for Higher Education. Tobia Repossi, studied Architecture at Politecnico di Milano and Product Design at Kunstakademiets Arkitektskole in Copenhagen. He is a registered architect with almost twenty years of experience in architecture, interior and product design. He worked for major Chinese market leading companies among which Tencent, ZTE, Huawei, TCL, as well as European and American brands. He designed shops, corners, showrooms, hotels, exhibitions, museums, offices and products for interior and outdoor, as well as furniture, electronic appliances and accessories. His works have been selected for the Compasso d’Oro Prize, Design Index, Mediastars, Modern Decoration Award, A’Design Award and Red Dot Award and published in magazines and newspapers. He’s ranked number 22 in the world for Electronic Appliances by DAC, number 40 designer in China by World Designer Rankings and 106 in the world. He’s been teaching Design at Politecnico di Milano Faculty of Design and IED (European Institute of Design) and Director of the Innovation Hub of Arucad Arkin University of Creative Arts and Design. He co-founded IDA (Italian Design Association) that reunites all the Italian professionals in China and promotes the culture of Italian design. He established successful design and communication companies like ZonaUno design Agency, TR & Partners in Shenzhen and Mobili in Cartone a cardboard furniture company that sells products all over Europe.